The reserve is home to Sandhill Cranes, Herons, Snowy Egret, White Pelicans and a variety of ducks and geese species. The refuge has one of the largest Canada Geese producing areas in the western United States. Walking trails take you to view the birds and other wildlife found at the refuge. The refuge is at the north shore of Bear Lake. 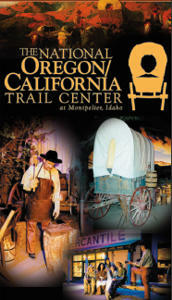 The US Forest Service office is inside of the National California-Oregon Trail Center located at 322 North 4th St. in Montpelier. Enjoy a guided 90-minute, half-mile walk into this beautiful cave. Be prepared for the 400 steps up and down in the cave and bring a jacket, since the cave is cool at about 40 degrees year round. The Bear Lake Valley is a recreational paradise! Bear Lake is often called “Caribbean of the Rockies” for its intense turquoise blue water. Jet ski, go sailing, boating, fish, swim and play on our sandy beaches. Winter offers snowmobiling, ice fishing and snow skiing. Enjoy bird watching & wildlife. Find Bear Lake Utah & Idaho Lodging, Hotels, Motels, Bed & Breakfasts and Vacation Rentals and RV Parks & Campgrounds. In The News! Incredible facts you should know about Utah’s Bear Lake!